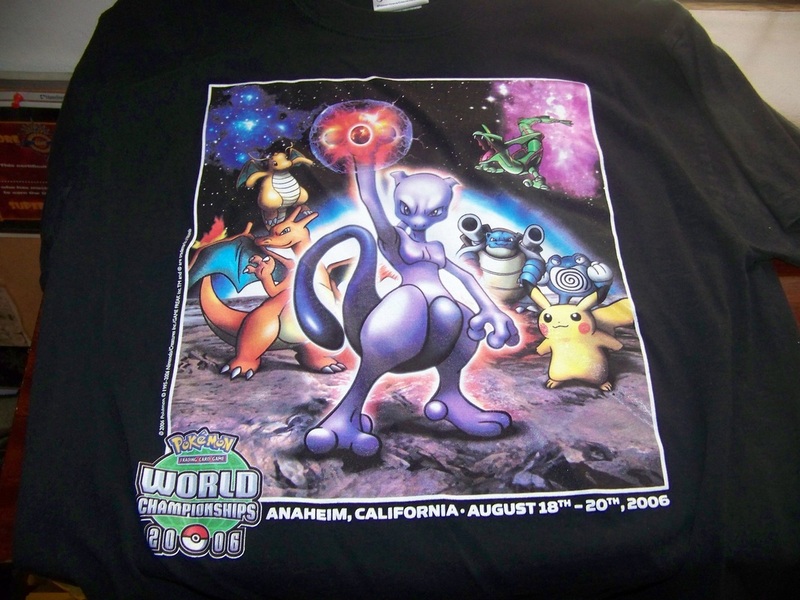 This section will serve as a collection for all of the items that were made for the Pokemon World Championship in the year of 2006, the year they had the best Pokemon in existence as the mascot for the best players in the world. 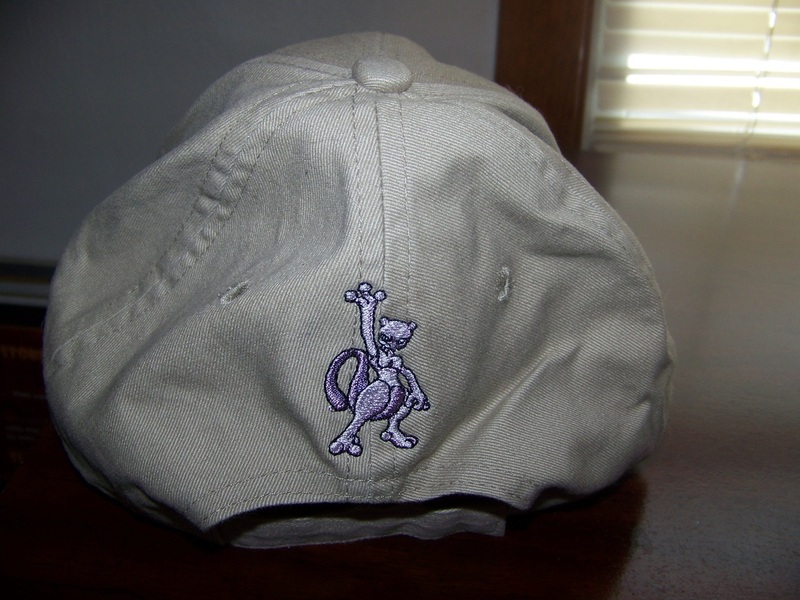 A bit of an explanation on the picture - a good friend of mine, Christopher Darling, won the Pokemon Emerald Frontier Brain battle a long time ago. 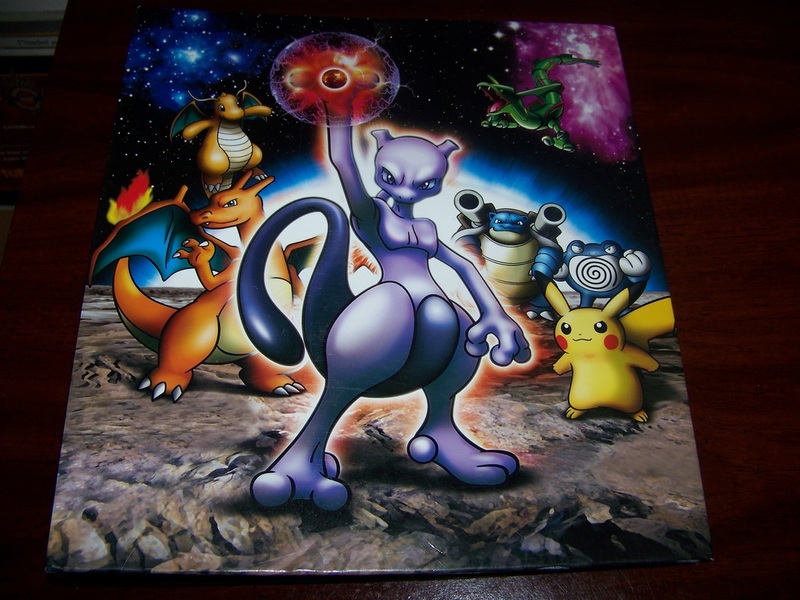 During this Nintendo-run tournament, Legendary Pokemon were legal, and Mewtwo was instrumental to Chris's victory, earning almost half of the knock-outs on his way through the competition. 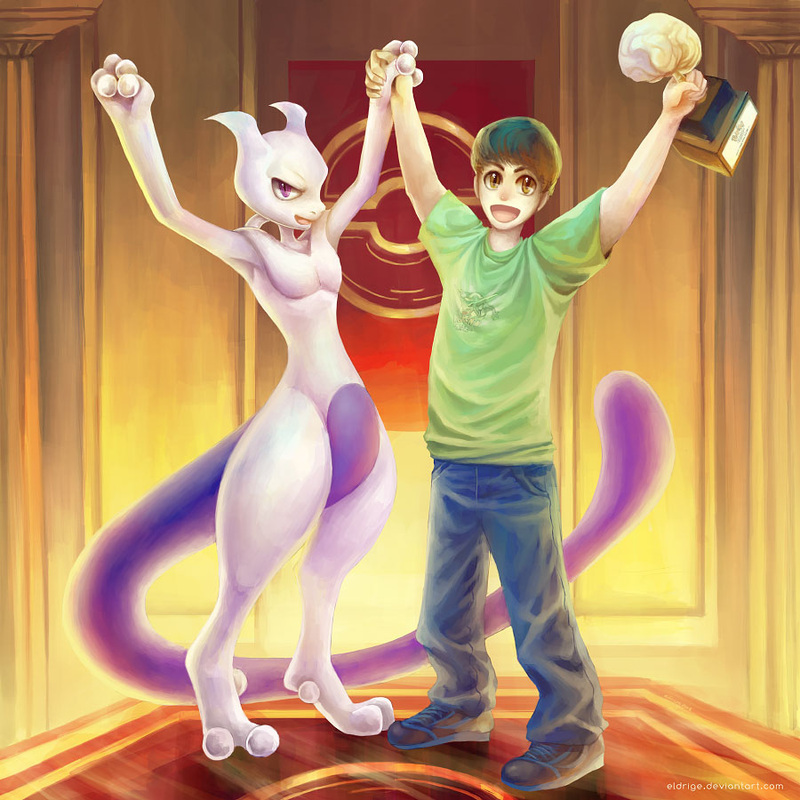 Hopefully, some day in the future, "ubers" are legal in Nintendo-sanctioned tournaments again, and others will have that positive association with Mewtwo from him helping someone become World Champion! These are items you will have already seen on other pages, but a number of people told me they felt this deserved its own subsection. That having been said, onto the collection regroup! 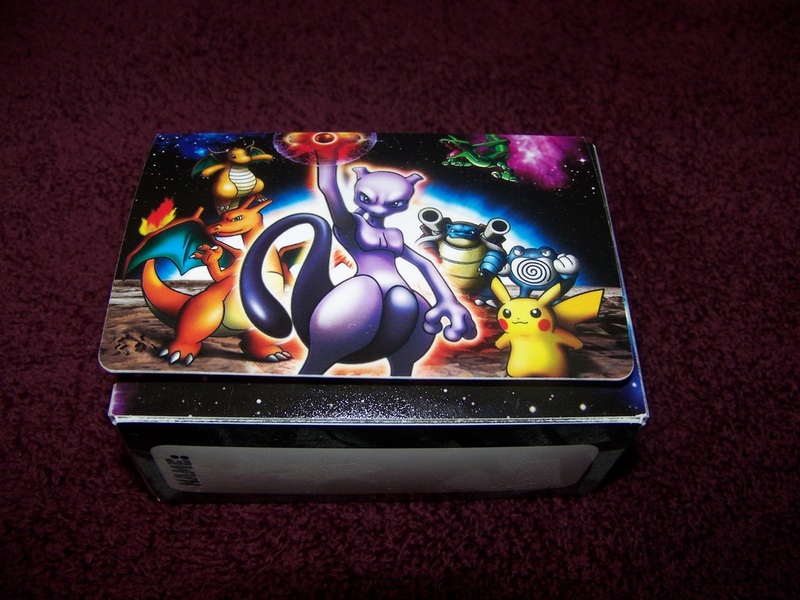 These things are being listed for ridiculous amounts on eBay right now. 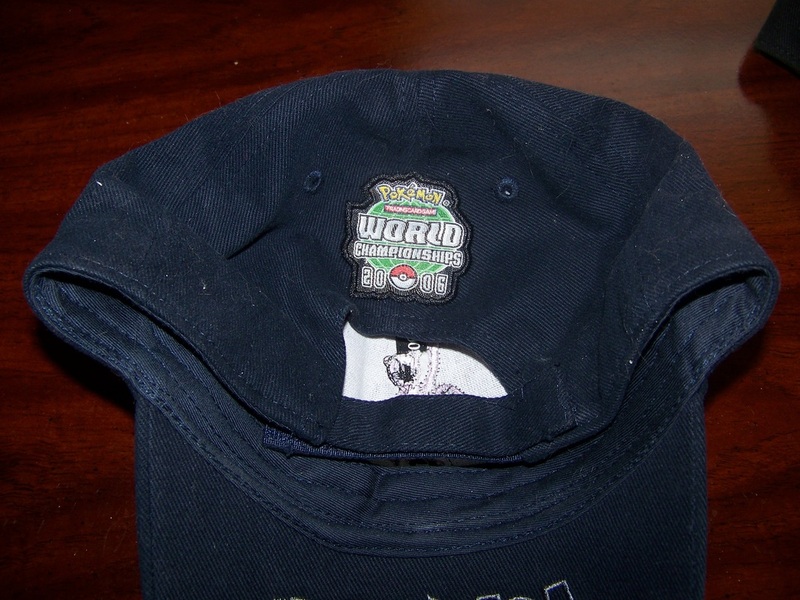 (The one active is posted for $200 as of the time of this page's creation.) I'm glad both of my pickups were under $60 each. 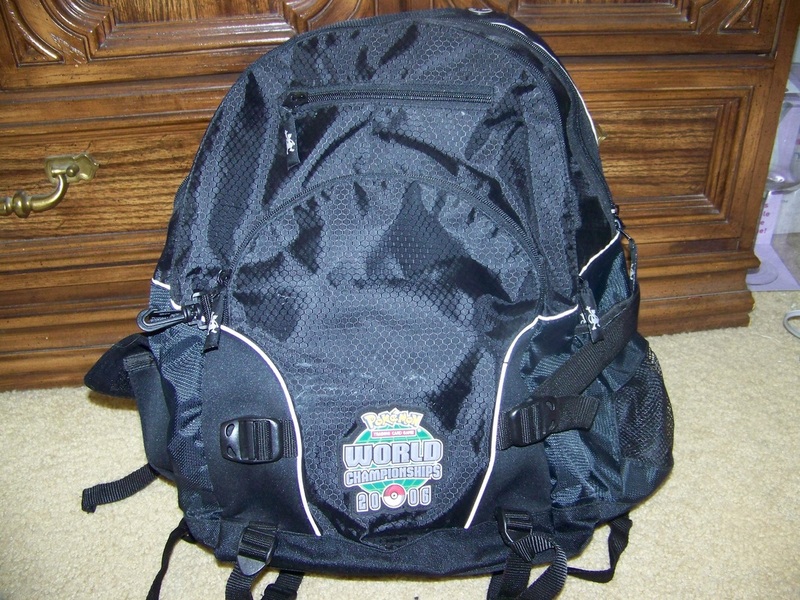 While the backpacks are being listed for $200, the last binder sold actually went for almost that much! None have shown up for a long time. 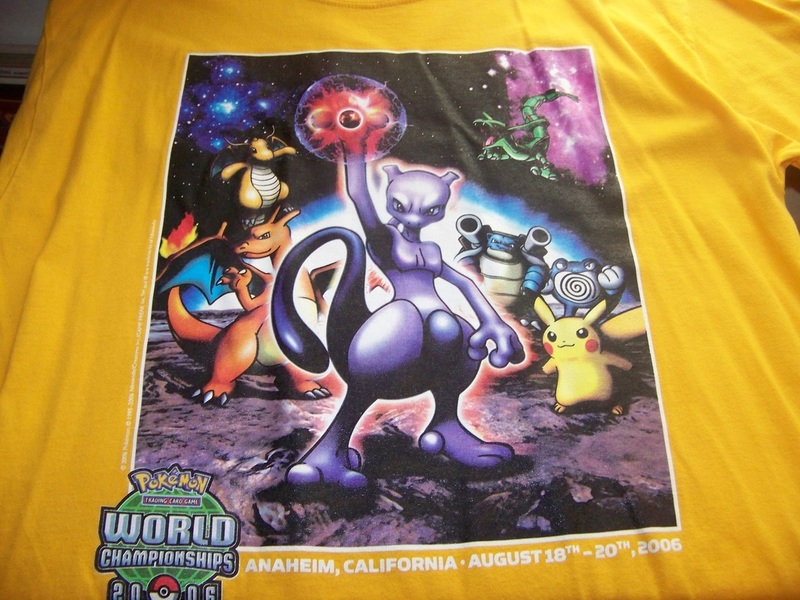 This was the original hard-to-find one, where everything being listed for sale was yellow with a rare purple here and there. It's since become a bit more common with the black one being the rarity and the red nowhere to be seen. The most common on the bunch but still a nice item to have. While the other color shirts give an indication as to which class of person (competitor, volunteer, etc.) this one doesn't. 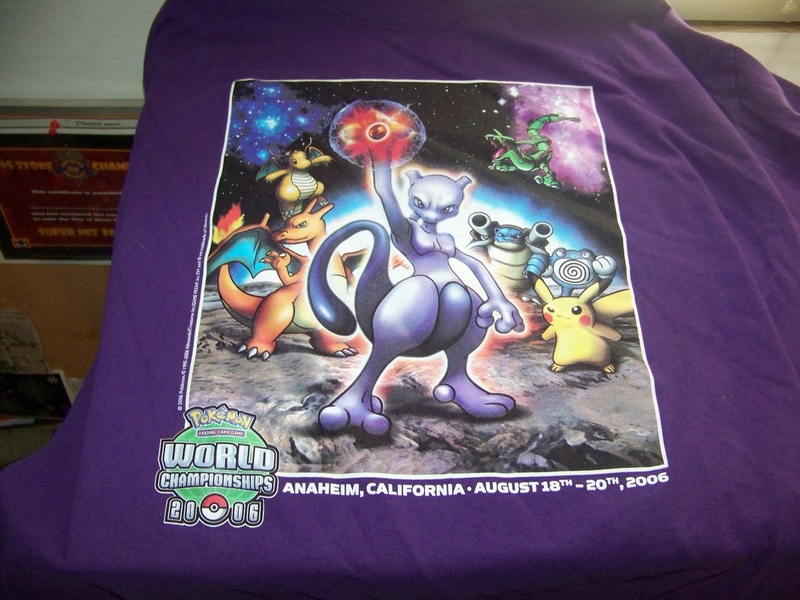 If anyone at WC '06 knows what the black shirts were for, please let me know! 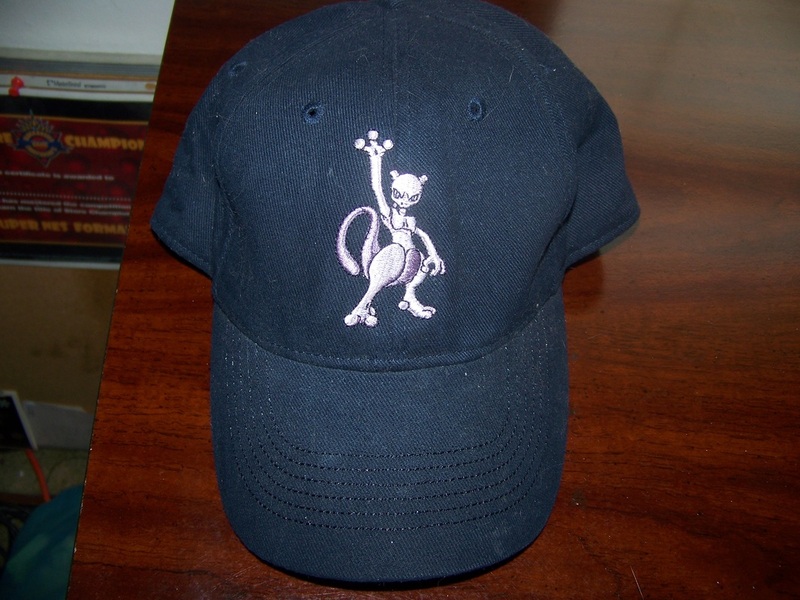 This hat doesn't feature Mewtwo as prominently as the others but it's still worth noting. 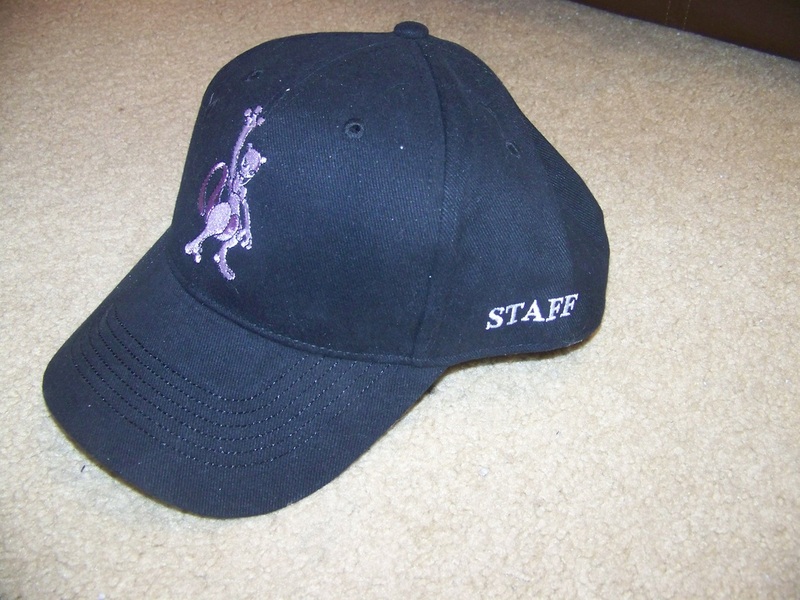 ...and you shouldn't have any problems finding one, unless you're hunting down the rare version that signifies the wearer was a member of the staff. Like this one! FINALLY got a hold of one of these! Tiny, cheap, but still useful, and they had the forethought to have a section to write a name down on the side to make accidentally abandoned decks easier to return to their owners. Good thing in such a big event where the decks would all be expensive. 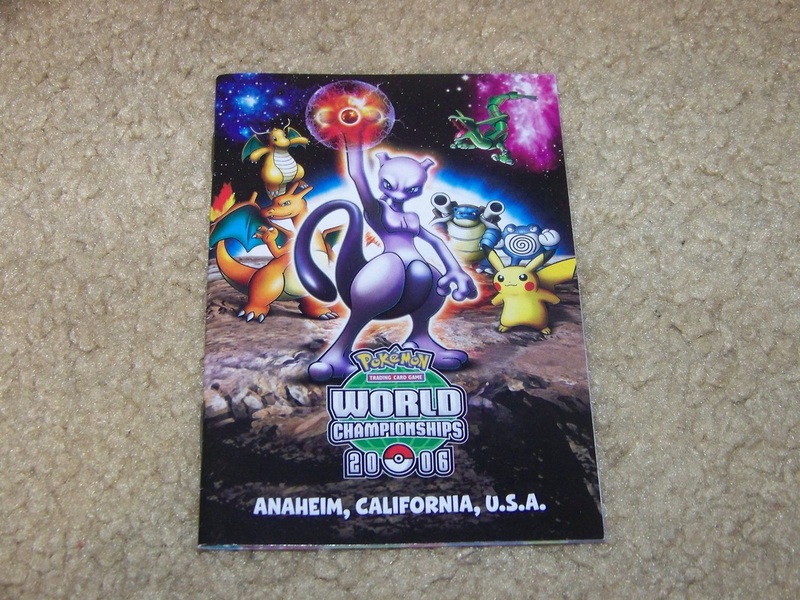 There are a couple other things from Worlds I haven't picked up; I only plan on buying things with Mewtwo's image on them, and I'm not paying $100 for a luggage tag. The other things will come in time, once the market settles.